What can one do when it’s ungodly cold out? But make gnocchi, of course! My husband and I have been wanting to try his grandmother’s recipe for a long time, but shied away for fear of a disaster. Last night, we decided to take the plunge. 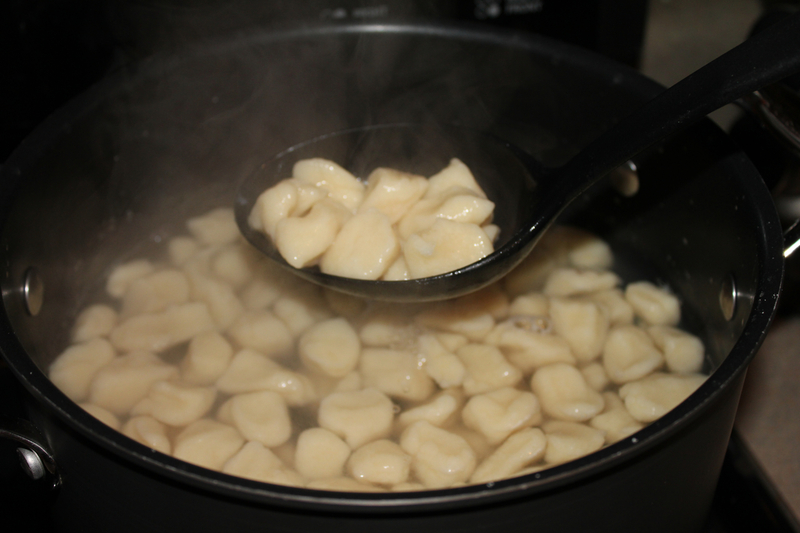 Gnocchi are a staple of Italian cuisine. According to some sources, the word gnocco has a negative connotation and means a silly person, thus giving the dish a rustic feel. Problem is, gnocchi are everything but rustic. The dumplings are one of the oldest dishes ever recorded and have become a sophisticated addition to any menu. The secret to soft and light gnocchi is the choice of potatoes. Luisa, my husband’s grandmother, had one rule and one rule only: Yellow potatoes, the starchier the better. For our experiment, we chose big, Russet potatoes (low in water and high in starch), able to hold the dough together. The process was fairly easy and it took us by surprise. 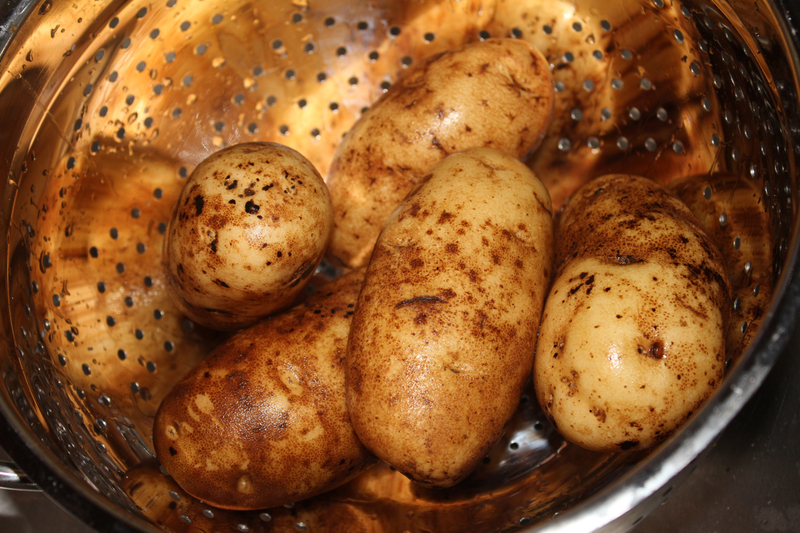 The potatoes are washed and ready to be boiled. We left the skins on the potatoes while boiling, but we peeled them once they were cold to the touch. Smash the potatoes and add flour a bit at the time and the pinch of salt. Once the ingredients are are well mixed, add the egg and work the dough until soft and elastic. 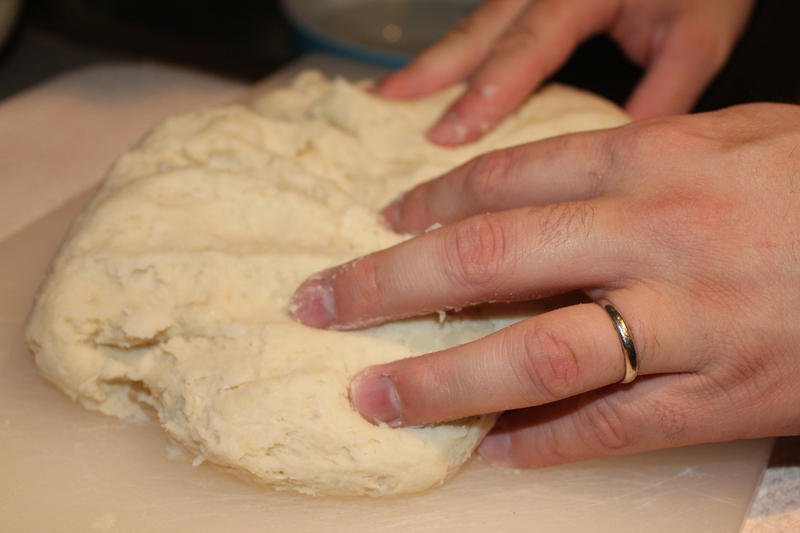 Cut the dough in smaller pieces and work them into long and thin rolls. 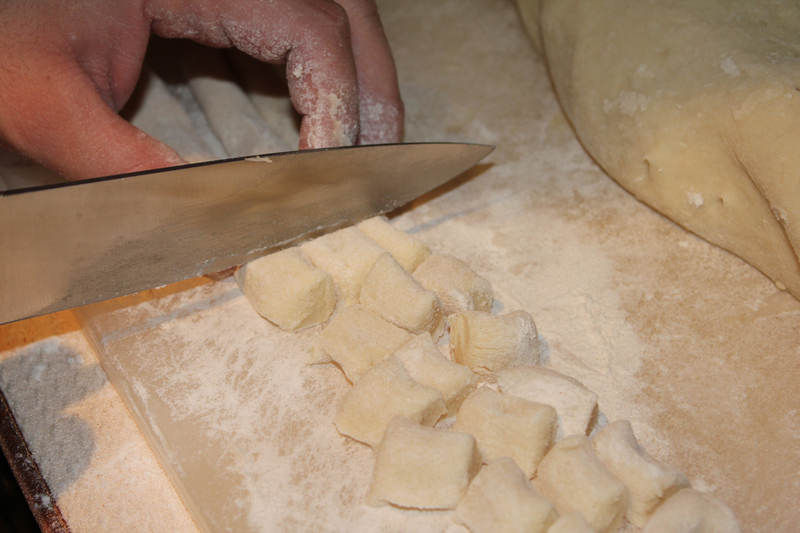 Once the rolls are uniform in size, cut the gnocchi and place them on a floured surface. In a pot of boiling water, add the small dumplings. Gnocchi cook in a few minutes, in fact, they will rise to the surface once ready. Drain them and add the sauce of your choice. We chose a traditional and simple tomato sauce with a bit of pesto. In the end, the experiment was a huge success. 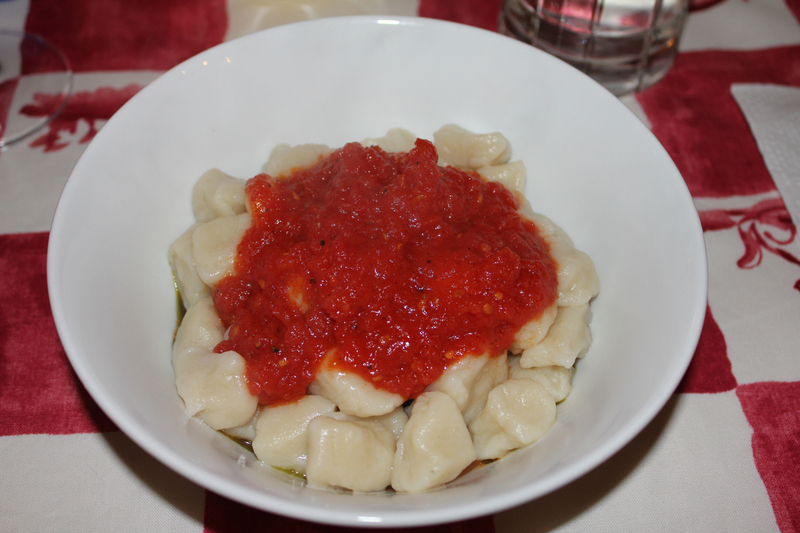 The gnocchi were soft, tasty and, most importantly, they did not stick together!